Approximately 150 runners of all ages and abilities converged upon the Wapiti Nordic trails on Saturday for the 18th running of the Steve Burgess Memorial XC Running Race. The Edmonton-based Running Room Athletics Club dominated the top placings in the featured races. The Running Room swept the top 3 places in the men’s 8 km race. Micheal Nishiyama won the race in 27:21, 17 seconds ahead of teammate Mike Stewart. Running Room athlete Madeline Cummings topped the women’s 6 km field, posting a time of 24:34, 13 seconds better than teammate Lisa Fleming. The Running Room also won the team competition in the 6 km and 8 km races. The Peace Country Wolves Athletics Club placed second among the men, while the GPRC Varsity Women were second in the women’s race. The host GPRC Wolves varsity team had a fantastic day against its ACAC rivals. 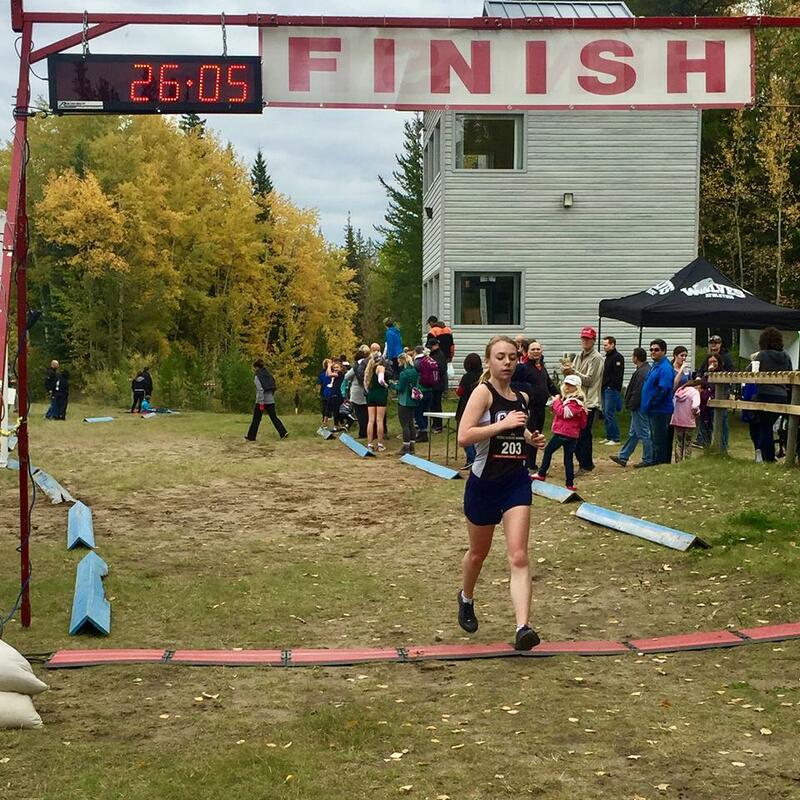 Wolves runners Kelcie Bulas (Women’s 6 km – 3rd overall) and Brandon Wladyko (Men’s 8 km – 4th overall ) were the top college runners and both Wolves teams placed first in the college team standings. This coming week is the busiest seven days of the year for local xc runners. 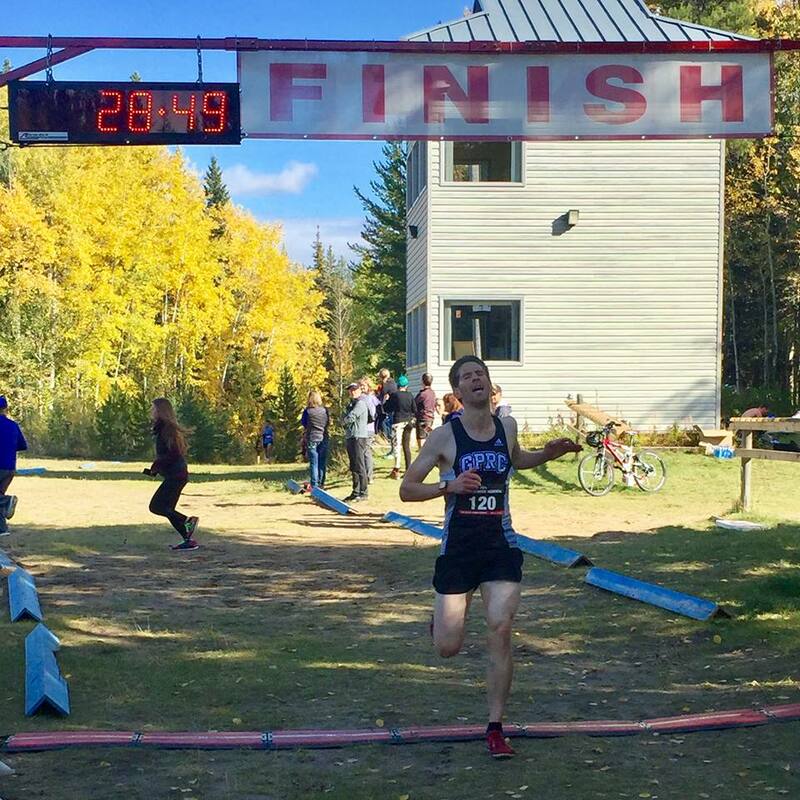 Three Wolves Cross Country Series Races are on tap this week including Wanham (Thursday), Peace River (Friday), and Dawson Creek (Saturday). The GPRC Wolves Varsity team is in Red Deer next Saturday for ACAC #4. This entry was posted in Cross Country and tagged ACAC, Brandon Wladyko, Cross Country Running, GPRC Wolves Cross Country, Kelcie Bulas, Steve Burgess Memorial XC Running Race, Wolves Athletics Club, Wolves Cross Country Running, Wolves Cross Country Series, Wolves X-C Running Series, X-C running. Bookmark the permalink.